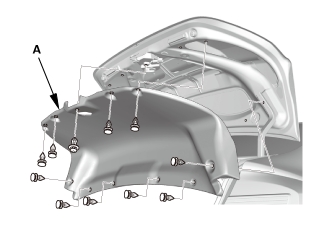 Remove the inner taillight (A). Remove the gasket (B) from the inner taillight. 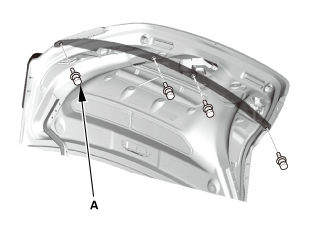 Remove the rear license trim (A). 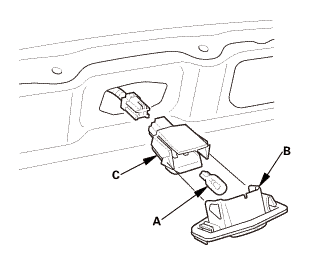 Push the license plate light assembly (A) to the side to release the retaining spring (B), and pull out the license plate light assembly. 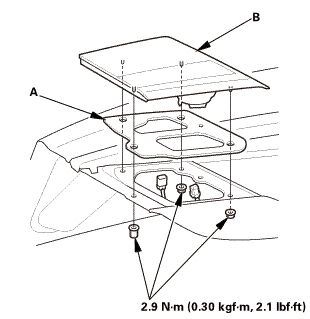 Separate the lens (A) from the housing (B). 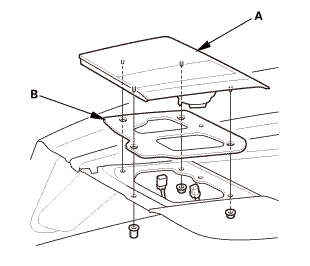 Install the lens (B) on the housing (C). 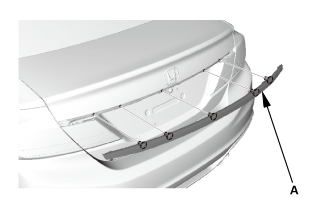 Install the rear license trim (A). 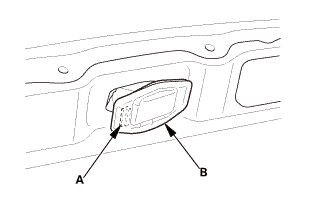 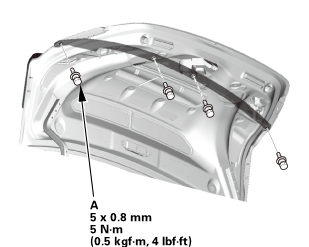 Install the gasket (A) to the inner taillight (B).